Shaun Tai & Wilson Tai (Founders of Z.Team Yossi). 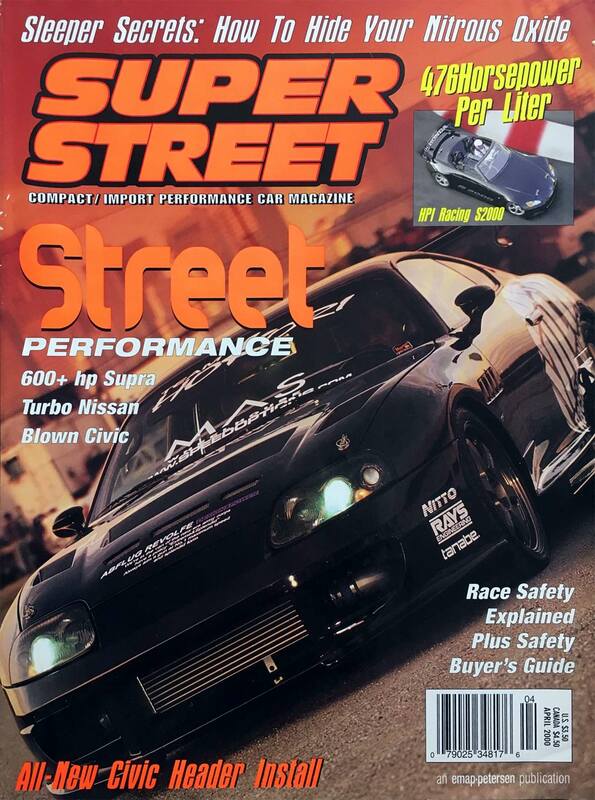 The March-April 2000 millennium issue of Super Street was a big hit for the San Francisco Bay Area. 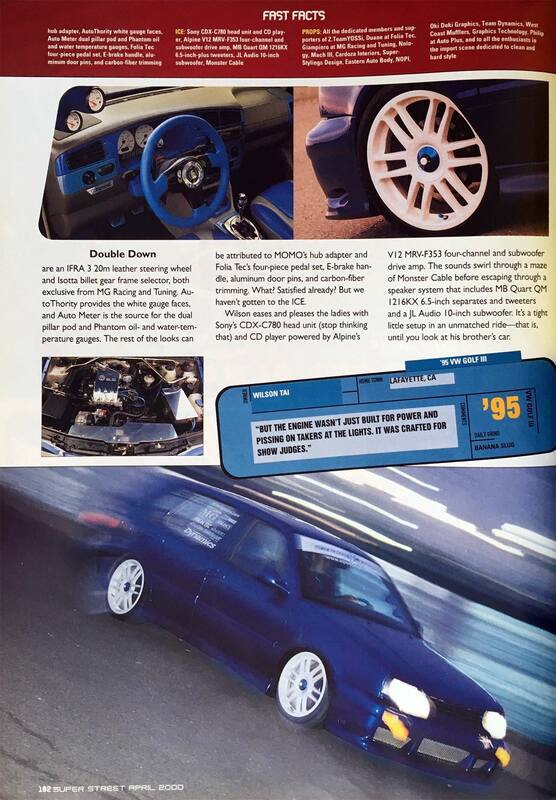 Besides the cover car Volk Racing Hokori Turbo Supra, the highlight was a Super Street first, a six-page full color feature on the Z.Team Yossi VWs...European cars were rarely, if ever, featured in Super Street. 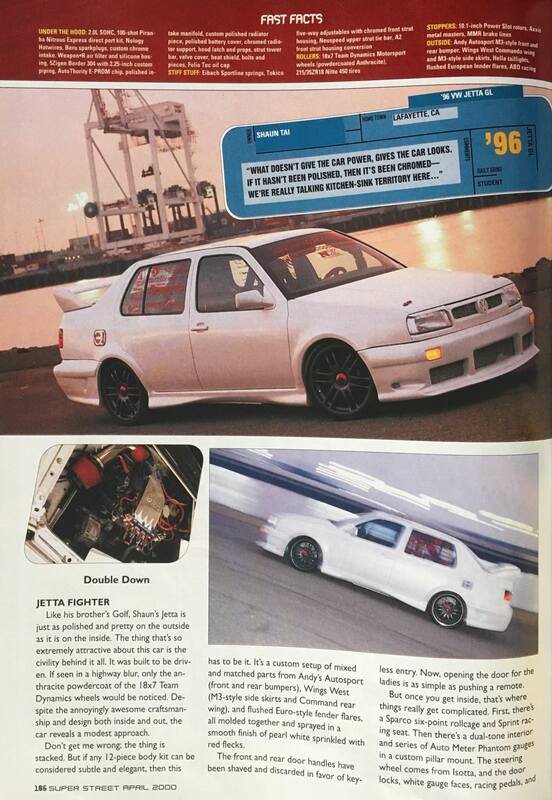 Moreover, it was the first time two blood brothers were featured, no less, pioneers of the Northern California import racing scene, which was about to explode into the mainstream. 14 months after the issue hit the newsstands, The Fast and the Furious (Cohen, 2001) was released in movie theaters. In fact, a number of Z. 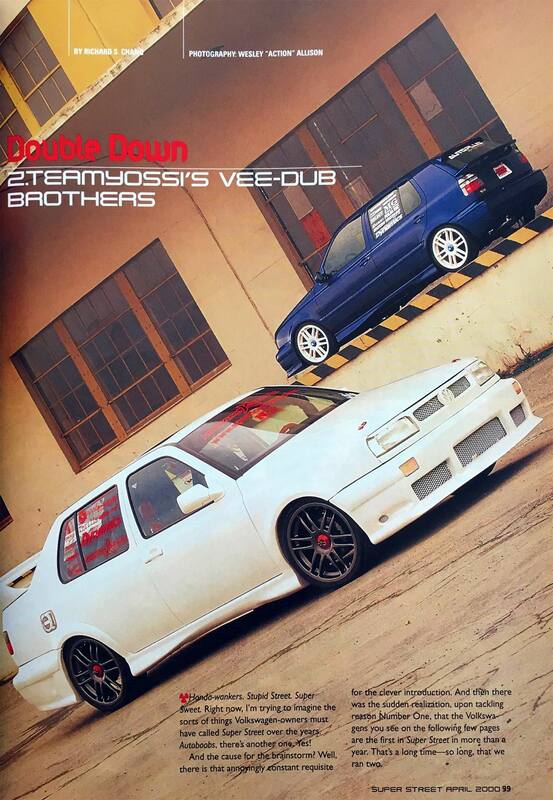 Team Yossi cars and members including Shaun's Jetta were acting extras in the Hollywood, Los Angeles, film production. The photo shoot location was also where, The Matrix Reloaded, freeway chase scenes were filmed and the location of the boutique distillery, Hangar One, creating their buddha hand vodka and legal-since-2007 Absinthe. 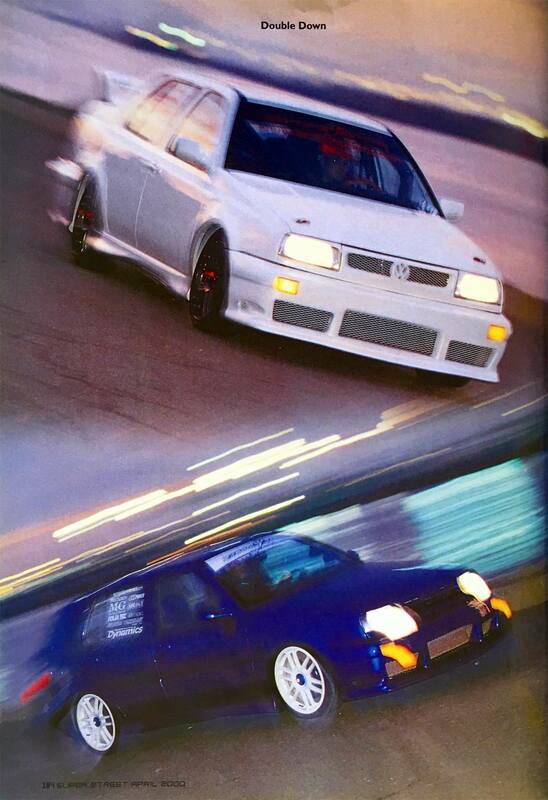 Wesley Allison, Super Street's cover car photographer, shot on 35mm film, attaching his tripod to the Golf's passenger door side, aimed the lens at the wheel, and asked Wilson, "Can you do a burnout?" 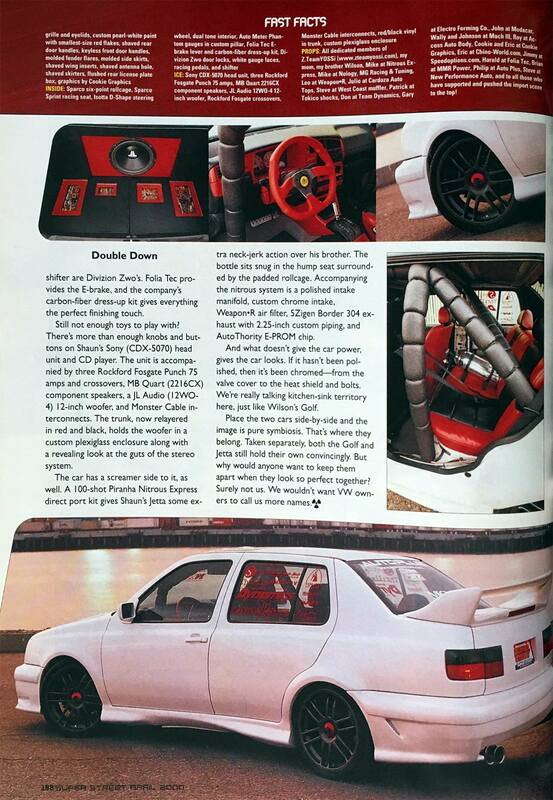 Revved to the limiter, Wilson dropped the clutch and lit up the tires to the end of the street. 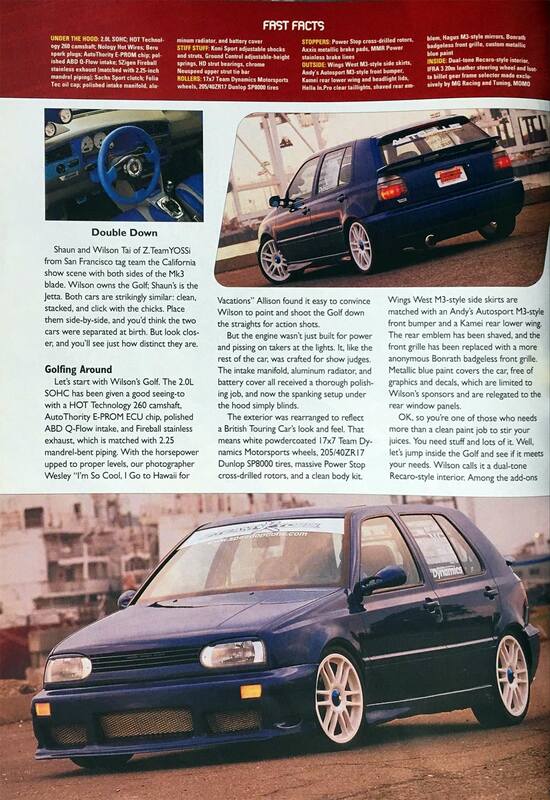 The powdercoated white split-spoke Team Dynamics Motorsport wheel of the ZTY VW Golf graces the cover of the supplemental Wheel Buyer Guide included with the issue, thus the issue was sold in a sealed protective bag - an instant collector's item. 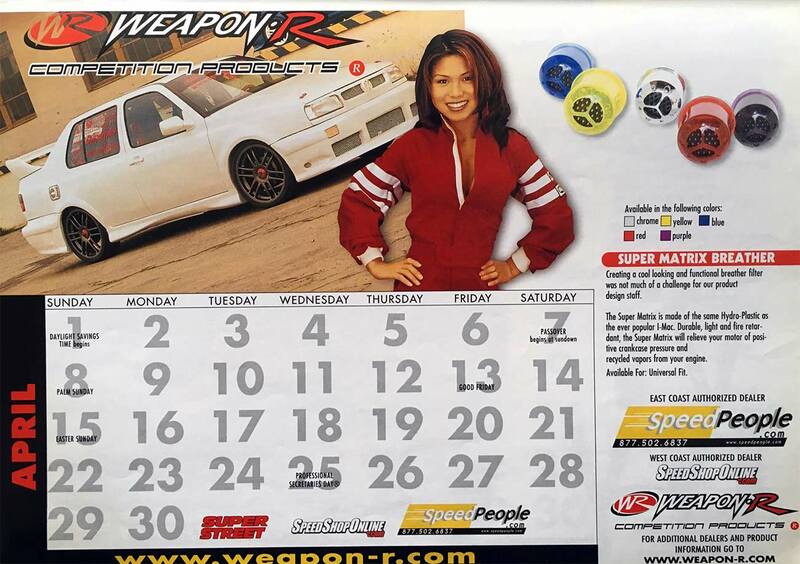 The following year, Super Street and Weapon*R (another SF Bay Area company) teamed up to release a 2001 Calendar featuring the industry's import racing models, Linda Lee & Kristin Muranga. A fourth of the calendar featured Z. 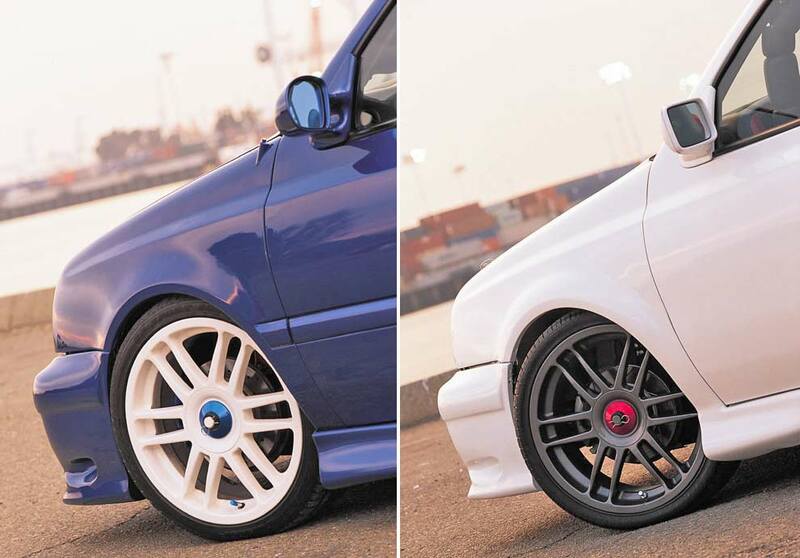 Team Yossi flagships: Shaun's Jetta, Wilson's Golf and John B's Turbo MR2.